One of the less-reported announcements amid the hullaballoo of this week’s WWDC 2015, and perhaps for good reason, is that the next version of Safari will allow developers to create extensions to block ads. One of Apple’s engineers let the cat out of the bag with a tweet saying that Safari for iOS 9 will allow developers to create extensions to block ads, cookies, images, pop-ups, and other content. That’s right, Apple is about to make ad-blocking — already used by around 150 million people — easier than it’s ever been. In fact, just plain easy. For example, to currently install an ad-blocker on an Android device means downloading a file and carrying out an installation that does not come from Google Play Market: it’s not rocket science, but it’s sufficiently fiddly to put most people off. But the consequences of Apple allowing its users to do so simply and easily will be enormous. In the first place, a whole lot more people will start to block advertisements on their devices. And it won’t just be advertisements they block, but lots of other things, depending on what the developers’ imaginations and ability can come up with. Nieman Lab has already described Apple’s move as “a tough blow to advertising on mobile formats,” although I would say that it was simply empowering users and encouraging advertisers to think harder about what they do. And it’s not just the advertising industry that will be hit: AdBlock Plus stands to take a beating. This is a company that has built a business model on managing lists of blocked ads, and that has just won two important court cases in Germany validating users’ right to non-intrusive content. It makes a living out of charging companies not to be on its list of advertisers who bother people. AdBlock Plus has wasted no time in crying foul, challenging Apple’s criteria for handling blocks, which, like bikinis are supposed to cover up what needs to be covered up and allow to be seen what needs to be seen. If a blocking list doesn’t work properly and allows too many ads through, users will choose another option. But if it blocks too much, then it’s hard to make a business out of it. But let’s not start celebrating too soon: these types of extensions will be available for people using Safari, which is not the majority, and on mobile devices equipped with iOS9. That said, this may only be the beginning, but it shows where we’re headed: for years blocking advertisements was the preserve of a relatively sophisticated minority; it will now be something larger and larger numbers of people will be able to do. For Apple, this move makes sense, and fits into its policy of not doing business with its users data, seeing its customer base as something to be sustained over the years. 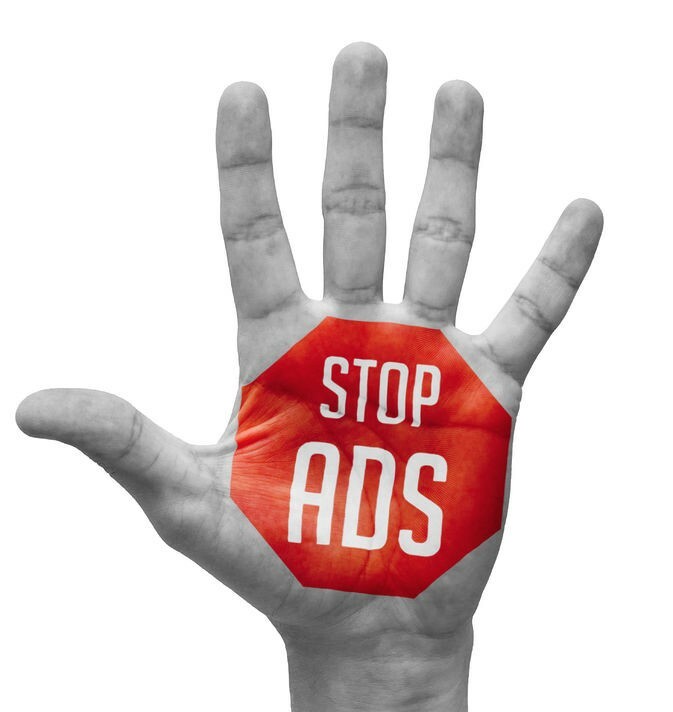 Ad-blocking is here to stay, whether it’s provided by Apple or AdBlock Plus. We can say goodbye and good riddance to intrusive, bothersome advertising that takes us for schmucks. From now on, advertisers, if you want to get your message over, you’re going to have to think hard about the best way to do that, based on respect and good manners. Otherwise, you won’t get a look in.